The historic Old Town of Edinburgh is a mix of alleyways, steps and closes. A collage of sketches, drawings and photographs is a perfect way to depict this eclectic mix. 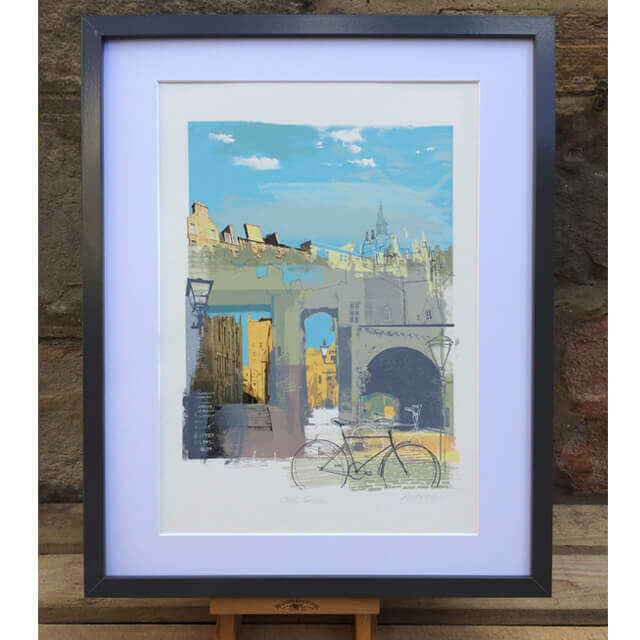 From a series of illustrations depicting the City of Edinburgh. Kate studied Illustration and Animation at university with the ambition of making puppets for films. Soon she became increasingly interested in illustration. However breaking into this business is hard and in a time before e-mails and websites most days would be spent dragging her portfolio between art directors and publishing houses in London. Luckily she had a great sideline in painting blackboards for pubs and was even flown around the UK to paint the boards of many pub chains. However there are only so many bottles of beer and roast chicken dinners a girl can paint, so she decided to return to study on a M.A. in Illustration at Kingston University. Here she discovered screen printing and this technique allowed her illustration style to develop. She was also introduced to Photoshop and the Apple Mac and was able to apply the digital skills to her new found 'style'. 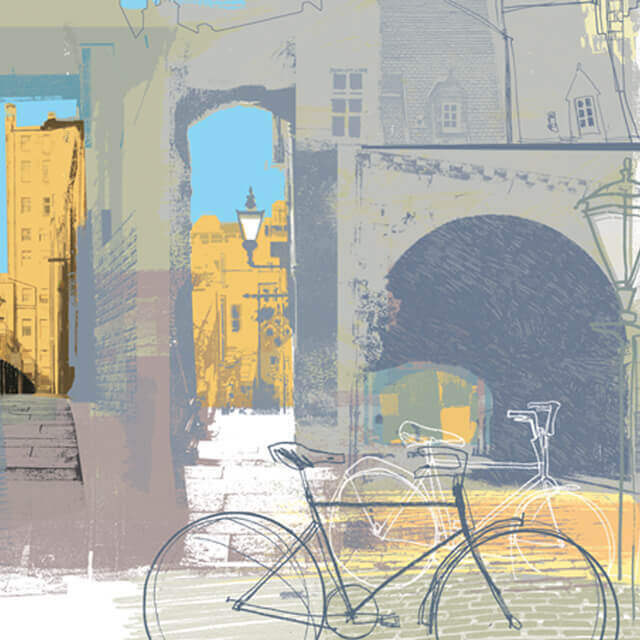 Her illustration career took off and 25 years later she has worked for clients all around the world from advertising to publishing and design to editorial. 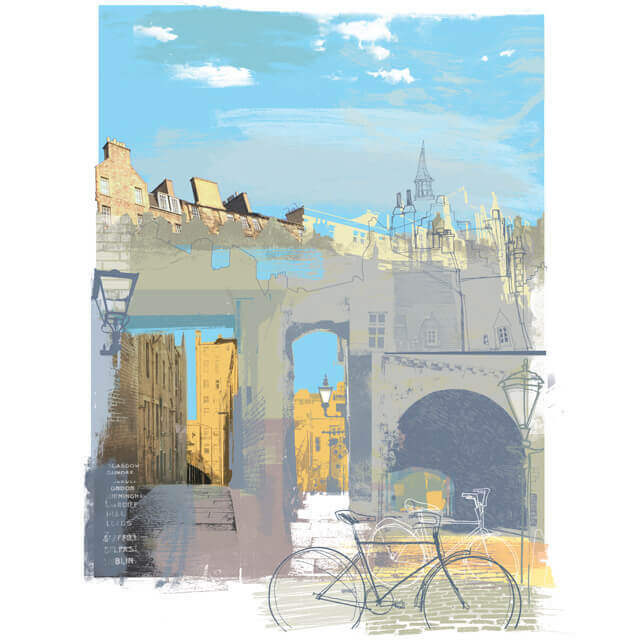 An illustration commission from a publisher to create a series of limited edition posters that would combine both digital print and hand pulled screen print gave Kate the idea for these series of images. It also reignited a desire to step away from the computer and return to screen printing....watch this space.